Alloys for high temperature utilization (e.g., superalloys) and light-weight structures (e.g., Mg alloys) are designed and developed in this laboratory. Commercially available software is used in alloy design. 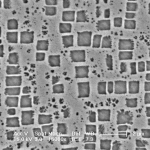 Alloy production in poly and/or single crystalline forms usually follows the design stage. 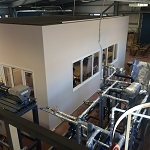 The function of this laboratory is to have an environment to test performance and combustion characteristics of internal combustion engines. An active dynamometer which is able to test internal combustion engines of up to 100 kW capacity is available at the laboratory. The dynamometer’s maximum brake torque is 260 Nm at 4000 rpm. The laboratory also contains auxiliary equipment necessary for an internal engine to operate including a fuel delivery and consumption unit, a cooling circuit, an exhaust system, air ventilation unit and fire extinguishing equipment. The diagnostic devices used in the laboratory include torque and speed measurement devices as well as an indicator system capable of measuring in cylinder and intake/exhaust line pressure at 0.5 crank angle degree intervals. The laboratory is frequently used for graduation projects for the automotive engineering MS degree students and also for demonstration experiments of undergraduate courses. A diesel and a gasoline engine are available for testing in the laboratory. Vibration and acoustics and various related topics such as fatigue and passenger comfort are among the most important subjects in Automotive Engineering. The laboratory is founded to examine and solve all kinds of vibration and acoustics problems encountered in automobiles. The necessary equipment to conduct the experimental studies have been obtained and carried out in various ongoing projects in the framework of university-industry cooperation. Currently, in the laboratory besides the experimental equipment such as a variety of accelerometers, microphones, tachometers, data acquisition systems, there are a sedan and a body-in-white which investigations are carried out on . In conjunction with these equipment, components used for educational purposes such as many and varied features engines, gear boxes, steering systems, such as parts are also available. Various software and hardware related to dynamics and control of vehicles are used in the same laboratory. 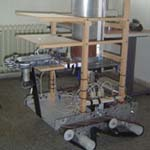 The development studies of alternative fuel vehicles participated in various competitions on behalf of our university are also carried out largely in this laboratory. BURET focuses on renewable energy technologies using low temperature heat sources such as sun, waste heat or geothermal energy to develop more efficient thermal energy conversion systems. 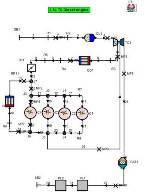 An organic rankine cycle test system is designed and produced to observe behaviours of various organic fluids and optimize the cycle for higher power output. In addition, design and test studies of novel expanders are investigated to improve the both efficiency of the cycle and turbine. Further, using a low speed wind tunnel and Particle Image Velocimetry (PIV) systems, flow analysis of natural and forced convection for enchanced cooling methods are studied. In Composites Laboratory, research on fibre reinforced composites, reinforced plastics and nanocomposites as well as their production methods is being conducted. Composite parts can be produced using several manufacturing methods such as vacuum infusion, autoclave, hot press, induction or microwave heating. Production of novel composites and nanocomposites as well as novel, energy efficient production methods, prediction of manufacturing deformations in composite parts, micromechanical analysis of composite parts, prediction of damage by using various failure criteria, deformation and failure analysis of composite structures, design and optimization of wind turbine blades are among the research topics of interest. Theoretical modeling and simulation of flame and heat transfer processes are the subjects studied in this laboratory. The reduction of chemical kinetics of hydrocarbon combustion, modeling of turbulent flames, gas phase radiative heat transfer in flames, prediction of emissions from internal combustion engines are the topics currently studied in the laboratory. 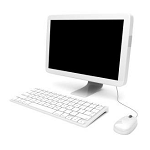 The laboratory has relevant software packages and computers to allow for the study of the topics mentioned. Available software includes ANSYS FLUENT, AVL FIRE, AVL BOOST, RICARDO WAVE, KIVA, Fortran Compiler, and Matlab. This lab is used for design and production of senior projects. A variety of machine elements (gears, nuts and bolts, etc. ), electromechanical components (electric motors, electromechanical valves, etc.) 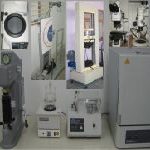 and electrical and mechanical measuring equipments are available in the laboratory. Several benches are available for the students’ use as this lab is mostly used for the assembly and test processes. Laboratory training associated with junior level fundamental mechanical engineering courses are combined into a sequence of two courses: Experimental Engineering I and Experimental Engineering II. Laboratory work is conducted in the Experimental Engineering Laboratory of the department. The laboratory is designed to teach hands-on experimental skills and is equipped with equipment for teaching the fundamentals of measurement and instrumentation with emphasis on sensors and transducers. 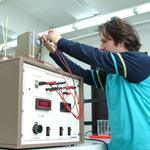 Test setups related to the disciplines of solid mechanics, thermodynamics, heat transfer and fluid mechanics provide the opportunity of conducting experiments in those fields. Utilization of the laboratory is, in the average, twenty-five hours per week. The laboratory is capable of accommodating seventy-two students per academic term. The Experimental Engineering laboratory of the department has been approved in both of the ABET accreditation processes. 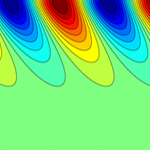 In FMS Laboratory, computational modeling techniques are being developed and applied to study engineering problems that cover a wide range of application areas such as Fluid Mechanics, Aerodynamics, Gas Dynamics, Transonic Flow, Non-Newtonian Fluids, Turbulence, Acoustics, Solidification, Combustion, Chemical Vapor Deposition, Two-Phase Flow, and other areas of Computational Science, such as Semi-Conductor Device Simulations. Haptics & Robotics (H&R) lab is located in KB112 in North Campus of Boğaziçi University. Physical and mechanical metallurgy of high temperature materials, specifically the superalloys, are investigated in this laboratory. 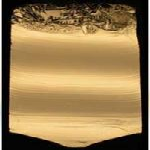 Although current emphasis is on the nano-size precipitate evolution in the Ni-base superalloys, microstructure formation via solid-solid or melt-solid transformations, mechanical (tensile, creep, fatigue) testing, and microstructure-property relationships of materials are also explored. In Mechanical Testing Laboratory, tests on mechanical behavior of polymers, composite materials, ceramics, metals and alloys are performed. 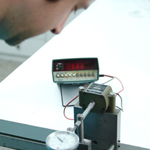 Among the tests done in the laboratory are standard tension/compression/flexure tests, fracture mechanics tests and fatigue tests. In addition to these standard tests, special tests can be done on automotive components such as engine mounts, connecting rods, crank shafts according to the company specifications. Deformation of parts under loading can be measured using strain gages and propagation of fatigue cracks under constant and variable amplitude loading can be monitored by optical and electronic methods. Damages parts can be examined using KRAUTKRAMER ultrasonic testing system. 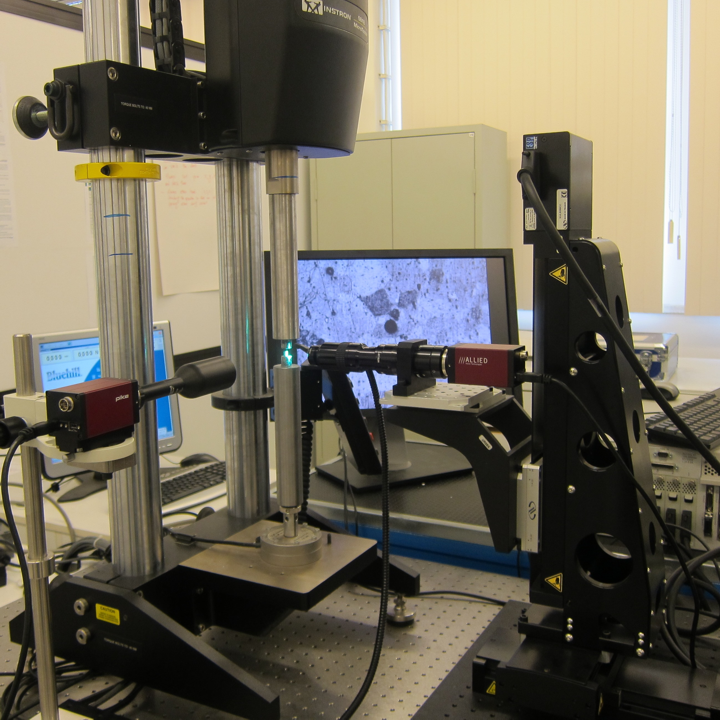 This lab specializes on in situ full-field deformation measurement at multiple length-scales. Deformation fields can be mapped with intra-grain resolution over an arbitrarily large area through in house scanning equipment. This provides high resolution and high statistical significance (that normally do not coexist) at the same time. The focus of research is on materials with complicated or multi-physics-coupled constitutive behavior (e.g. coupled thermal-mechanical behavior) and deformation-induced transformation phenomena. Studied topics include deformation physics of hexagonal close packed metals that undergo twin transformation and superelasticity in shape memory alloys that is based on an austenite-to-martensite phase transformation. Multiscale measurement is complemented with multiscale modeling activity that includes polycrystalline averaging techniques and various applications of the finite element method. 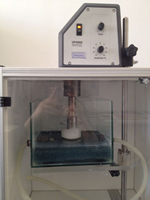 Research projects in this laboratory investigate solidification behavior of materials. Effects of process variables like the thermal gradient, convection in the melt, and diffusion at the solid-liquid interface are studied to understand the solute redistribution during solidification. This understanding specifically helps identify the underlying phenomena determining the interface stability, which is crucial in the growth of single crystals. The use of single crystals is essential in many industrial fields such as the electronics industry using single crystal semiconductors to increase the conduction efficiency and the aero-space industry employing single crystal superalloys in jet engines to combat the creep at high temperatures. Research projects in Space Technologies Laboratory focuses on the development, analysis and testing of plasma thrusters and components for space propulsion applications as well as the study of various terrestrial plasma applications and devices. Satellites and spacecraft moving in an orbit or in interplanetary space use propulsion systems that use the principle of conservation of momentum to provide thrust. Various propulsion concepts that will use external energy sources received from on-board batteries, solar panels, nuclear reactors, etc. are being developed and studied in this laboratory. Multi-scale modeling and characterization of nano-scale thermal transport. We are not only focused on contributing to the scientific literature in these areas, but also provide solutions to practical problems using numerical and experimental techniques. Due to the multi-scale nature of these problems, we focus both on microscopic and macroscopic modeling and characterization methods. Moreover, we use novel design and characterization approaches for some of these applications such as inverse design or regularization based tomography techniques. Vibrations Laboratory is equipped with the instrumentation and software required for measurement and analysis of vibrations of structures and machinery. In the lab, there are two shakers for low frequency high force and high frequency low force applications, data acquisition systems, accelerometers, a laser vibrometer, an oscilloscope, and other miscellaneous electrical and mechanical measurement instruments. 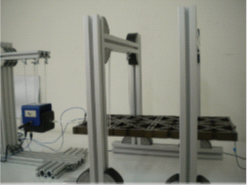 Current research in the lab focuses on computational and experimental investigation of vibration isolation systems, passive and adaptive vibration absorber systems, and phononic band gap structures.